True Induction cookers are a new method of cooking for a modern world. With their magnetic-based technology for producing heat, not only do induction cookers cook faster than traditional stoves, but they are also more energy efficient. When using a standard stove top, the burner generates heat that goes in all directions leaving only some of the heat to cook the food on the stove. Induction cookers, on the other hand, generate a magnetic circuit with ferromagnetic cookware causing the ferromagnetic pots/pans to heat up, keeping all of the heat concentrated in the cookware rather than the air around it. This concentration of heat allows food to cook faster and uses less energy to generate, saving you time and money. 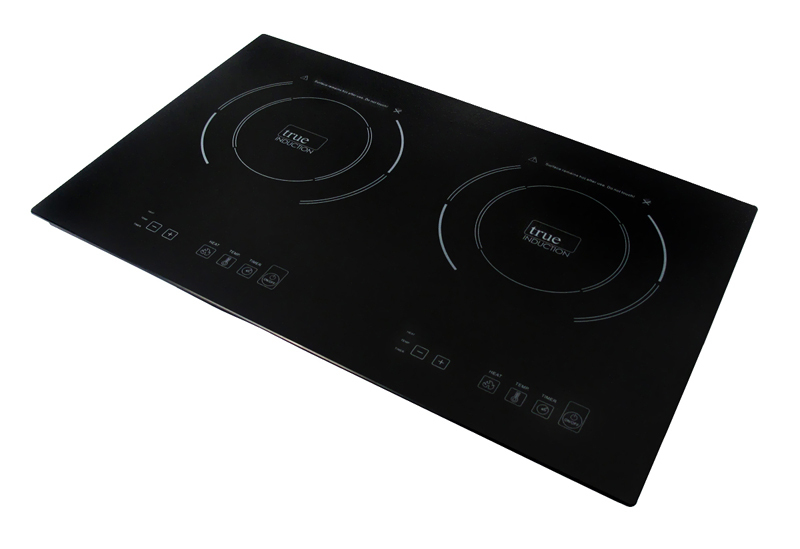 Now, True Induction would like to introduce a new variation of their induction cooker: the Double Burner Counter In-Set. Other induction cookers sit on top of your counter; taking up space, being another object that needs to be moved when cleaning, and looking more like something extra in a kitchen rather than a part of the kitchen. 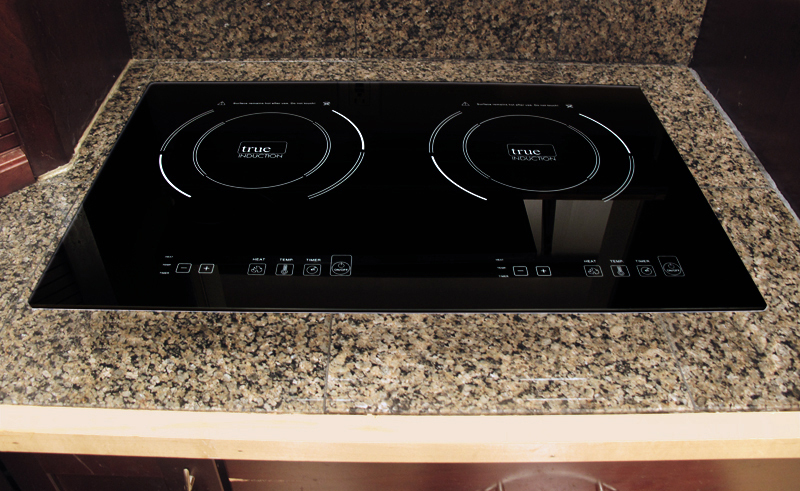 With the Double Burner Counter In-Set, you can now install your induction cooker into the counter itself, forming a seamless surface to prep and cook food with. 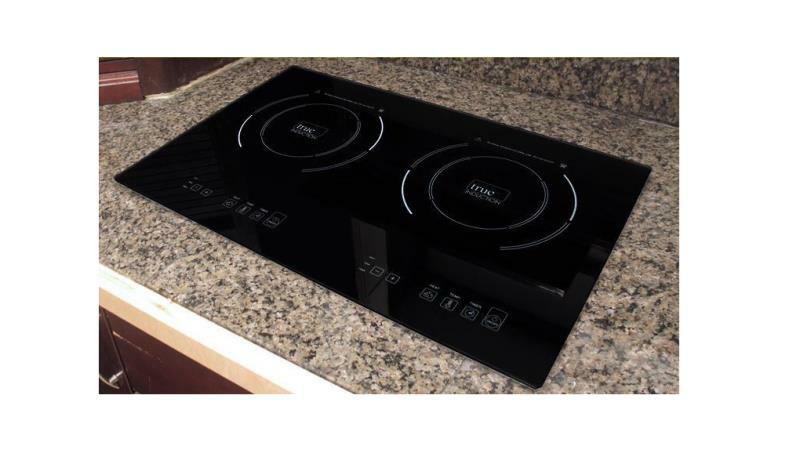 Plus, induction cookers do not require special cleaners so you can use the same cleaner for your counter on the induction cooker itself. Additionally, since the Double Burner Counter In-Set is not attached to a giant oven unit, you can install it wherever you think it will be the most accessible and leave the most room for you to work with. You could even purchase two Double Burner Counter In-Set units and lay them out side-by-side or in the traditional stove top arrangement or have one on one side of the kitchen and one on the other. The possibilities are endless. True Induction cookers are the way of the future and the Double Burner Counter In-Set is here to lead the way. You can now cook food faster to meet your time requirements and use less energy while doing it, saving you money in the long run. It plugs into any electrical outlet so even if you don't install it into your counter top, you can still make use of it if there is an electrical outlet nearby. Thus, if you love cooking or even if your looking for a quick, simple method of cooking, look no further than the Double Burner Counter In-Set. This Double Burner Counter In-Set comes with one free small True Induction Gourmet saute pan with lid. Use the True Induction cooktop in place of traditional buffet burners to keep favorite side dishes warm for serving like casseroles, soups, sauces and dips. True Induction has no flame and doesn’t produce fumes making it pollution-free. Built-in safety components like overheat sensor and overflow detection make the True Induction cooktop safe for use around the family. 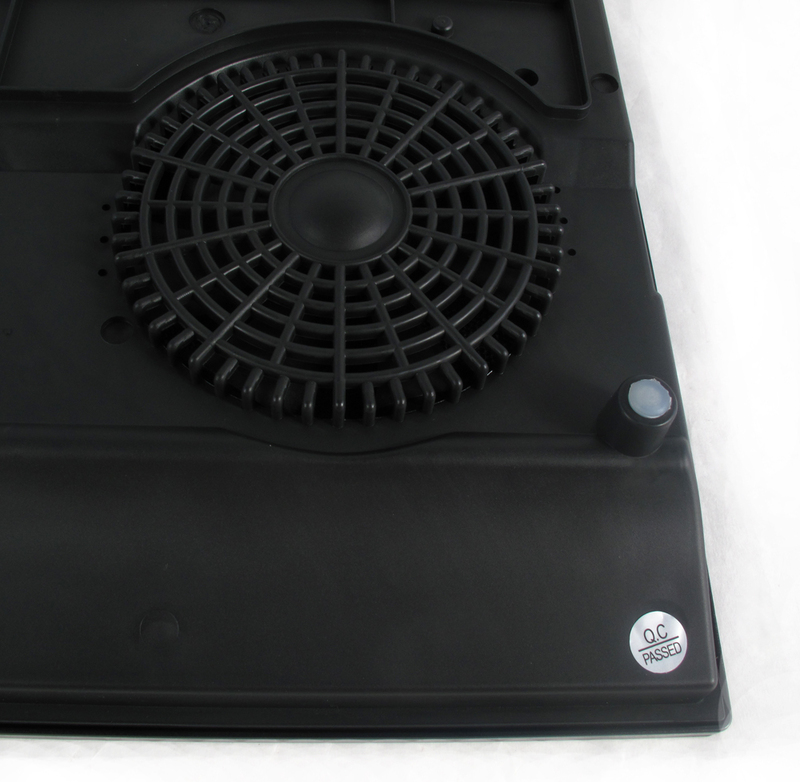 The lightweight countertop induction units are easy to use requiring no learning curve. 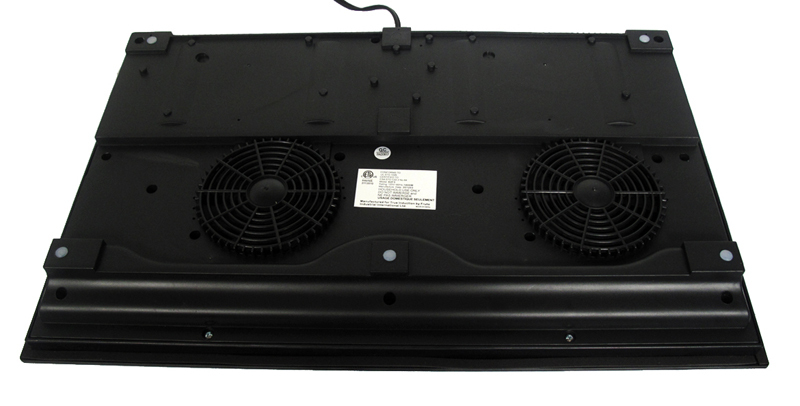 It’s powered by 120V AC/ 60Hz – just plug it into a standard 110 outlet and you're set! Additionally, the digital touch panel is conveniently located on the top of the model so there is no strain to find knobs or functions. Plug into standard 110 outlet. Turn power on by pressing ON/OFF once. The power light indicators will turn red and the unit will start heating if a proper ferromagnetic pot is used. To select temperature settings, press “temp” button and watch for the temperature light to turn red. The default setting is 270°F. To alter the default press the + / - key, until the desired heat setting is achieved. The temperature range is 150 °F - 450 °F and varies in 30 degree increments (150°, 180°, 210°, 240°, 270°, 300°, 330°, 360°, 390°, 420°, 450° F). The maximum power of an individual burner level is at setting 10. But, when operating both burners their combined total is level 10, meaning that when operating the two burners at the same time they’ll self adjust levels accordingly. When you increase the power of one side, the power output of the other side will reduce automatically (i.e., one side is at 6, the other burner automatically reduces power to level 4 creating a total of max 10 setting). Each burner easily holds 35 lbs.